Design architecture firm Hart Wright Architects has received DBE certification designating them as a woman-owned business. This gives their firm contracting advantages and unparalleled marketplace positioning. Hart Wright Architects is now formally recognized as a DBE women-owned business. Hart Wright Architects, an architecture firm in San Francisco, has been certified DBE, a federal designation for Disadvantaged Business Enterprises. The US Department of Transportation (USDOT) has mandated in its code of regulations that any public agency that receives federal assistance must participate in a certification program. Recipients of this funding must hire minority or woman-owned small businesses for a portion of their projects. In order for a firm to be recognized under this program, it must become DBE certified. This certification allows them to partner with larger firms. With this certification, Hart Wright Architects will broaden its client base to include public agencies and expand its geographic area to all of California. The firm expects to grow its business in the coming months, in part based on this newly-achieved distinction as they move into the public sector. Principal Eliza Hart has a degree in Urban Planning and a background in urban design. 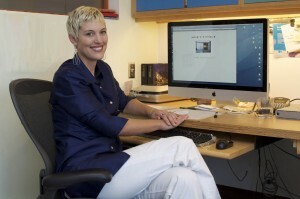 She worked in Los Angeles with urban designer, architect and author, John Kaliski on a variety of projects. Examples include: developing housing prototypes for Anaheim, CA, writing design guidelines for commercially zoned boulevards in Los Angeles and developing land use maps for the areas around the new subway stops in Hollywood, CA. USDOT fund recipients can be municipalities, counties, transit agencies or airports. Certification gives a small business a marketing advantage and exposure to these public agencies, projects, large contracting companies and consulting agencies that are required by law to use these DBE certified firms. Eliza is a member of the AIA, Build it Green and the US Green Building Council. She is on the steering committee of OWA, the Organization of Women Architects and hold’s the co-chair position of the AIA Small Firms Committee. Currently her Bay Area firm is working on modifications and improvements to a resort in Calistoga, CA, a kitchen remodel and addition in Piedmont, CA, a remodel in El Cerrito, CA, and a kitchen and bathroom addition and remodel to a house in San Francisco, Ca. Hart Wright Architects is a modern architecture and urban design firm based in San Francisco. They service clients in the Bay Area, Napa, and the California Coast. This press release was prepared by Bobrow Consulting Group (BCG) for Hart Wright Architects. BCG works with building design professionals to build their business by optimizing their online strategy, teaching marketing for architecture firms as well as offering web design and SEO consulting services. Modern Architectural firm Hart Wright Architects is now DBE certified.